We are currently building a lab-scale small solid particle receiver (sSPR) system which will allow us to develop a controlled environment to test imaging equipment and tools which would be used to measure the advection of particles which exit the receiver aperture. These in-situ tools will be incorporated into the SPR which is currently being developed at Sandia National Labs. The measurement of particle mass loss will take place by means of particle image velocimetry (PIV) and particle tracing velocimetry (PTV). By characterizing the mass loss of particles, the convective heat losses through the frontal aperture can be estimated using a combination of PIV and thermal imaging tools. Ultimately, we seek to develop a better understanding of the methodology which will allow us to measure and better understand the convective losses from the SPR and potentially finding solutios to reduce or mitigate this effect. The New Mexico SMART Grid Center’s goal is to develop an integrated research and education program that will support a modern electric grid that is built on the principles of Distribution Feeder Microgrids (DFMs). Research will focus on four interrelated objectives: 1) Architecture, which will provide designs for the optimal evolution of existing distribution feeders to microgrids, incorporating human preferences and the end goals of sustainability and resilience; 2) Networking, which will create new paradigms for DFM networking and communications architectures that are scalable, secure, resilient, and protect user privacy; 3) Decision-support, which will integrate machine learning, data mining, and knowledge-based techniques to make computer-aided and automatic decisions in the SMART grid; and 4) Deployment, which will integrate and validate the models and technologies developed in simulations and diverse testbeds that represent conditions typical of electricity grids and distribution feeders in NM and the nation. Integrated education and workforce development activities will increase research competitiveness of faculty, postdoctoral researchers(postdocs), and students; engage and retain diverse students; train next-generation electricity sector professionals and researchers; and provide students and faculty with competitive data management and software skills. The way we deliver power today is based on technology that was developed over one century ago. Obviously, updates to the system have been made, but if Edison or Tesla were to walk around a power station or a substation today, they would recognize most of the hardware installed. While our electric power system seems to work reliably most of the time, there are signs that it is becoming increasingly fragile, with vulnerabilities from extreme weather events, malicious attacks or even just random failures. With new technology in batteries, capacitors, power electronics and photovoltaics, we can do much better than that. Emera Technologies, the “skunkworks” arm of Emera Inc, a leading utility company operating in Canada and the U.S., is exploring a new architecture for the grid, based on networked DC microgrid units, each feeding a cluster of houses or buildings. 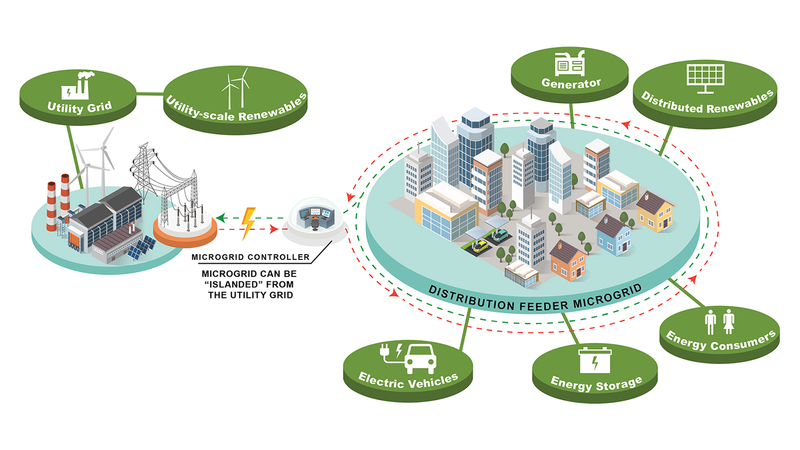 The advantages of DC microgrids include enhanced protection, up to 100% renewables penetration, enhanced resilience and lower cost. CEET@UNM is partnering with Sandia National Laboratories and University of South Carolina to optimize topology, optimize operations and ensure system stability. Emera Technologies funds and oversees the project, and actively collaborates with the project partners to deploy the technology on one or more demonstration sites in New Mexico. Traditionally, utilities have used technicians to ride out transmission and distribution lines to determine reliability issues and to update related systems with the latest field information. This typically requires two people to scan the line while one drives the vehicle and the other person documents their findings. After the inspection, the field technician turns in notes to various departments so that the mapping and system changes are updated and the reliability issues are resolved. Performance of the emerging “Smart Grid” hinges on the reliability of distribution infrastructure, which can only be assured by utility GIS systems with high levels of integrity. GIS data systems have significant interdependencies on each other, and accurate locational information is crucial. Maintaining data quality is challenging due to the sheer volume of data and the number of ways data quality can be compromised. For example, a transformer may be mounted on a different pole than originally specified, and the change not reported. Few utilities have resolved such issues. In many cases, utilities are finding that their capital intensive Smart Grid investments are not yielding anticipated benefits simply because the utility does not have an adequately accurate representation of the distribution system. In a large utility survey, less that 70% of respondents report having a complete model of their primary distribution system. Poor data quality presents a clear threat to the business. Most of the distribution infrastructure is located near roads, for reasons of accessibility. Ground-based imagery databases, notably Google Street View, are available for the bulk of the road system in the United States and other industrialized countries. 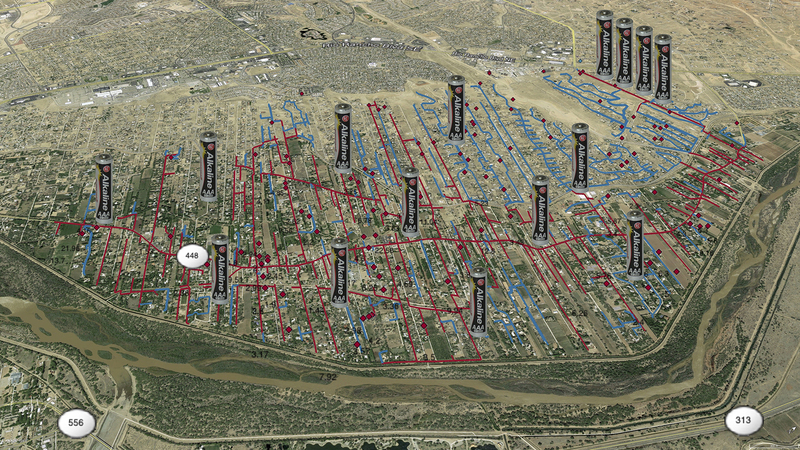 Current information on power distribution assets, including poles, lines, transformers and capacitor banks embedded in this imagery could be extracted by automated systems in a “virtual drive-by,” mimicking the activity of utility technicians, who could then spend their time more productively addressing any problems thus identified. In this project, supported by EPRI, the groundwork is laid for implementing a system that automatically inspects, maps and categorizes distribution assets that are visible in ground-based imagery. 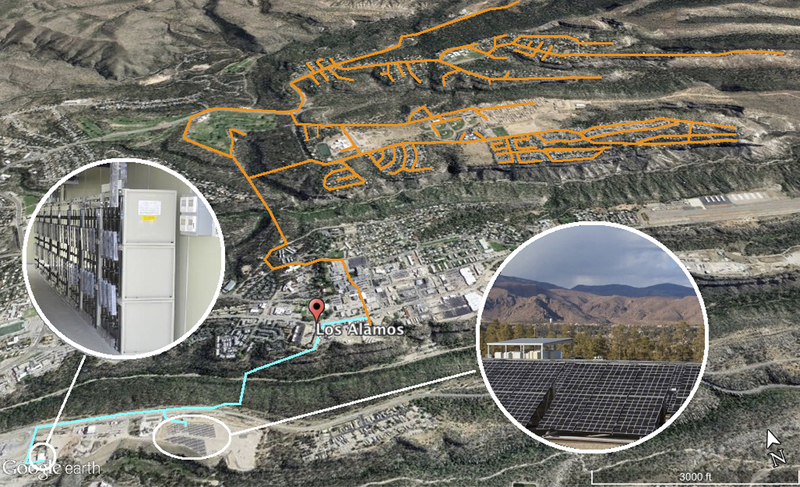 The overall objective of the project is to deploy and demonstrate a cyber-secure, renewable-intensive microgrid at an army base and to produce an interoperable commercialization-ready control system, deployment concept, and rapid adoption roadmap. This project will demonstrate key microgrid capabilities, including diverse Distributed Energy Resources (DER) integration, resiliency against natural disasters with ability for long-islanded operation (120+ consecutive hours with a minimum of 1 MW load and 2 MW/4 hours peak with almost zero diesel use), cost and emission reduction, fossil-fuel generation reduction, grid interaction (market participation, ancillary services, demand response), and enhanced power quality. Existing commercial microgrid controllers cannot interact directly with both building energy management systems and a diverse DER portfolio, including thermal storage and heat recovery technologies. They also do not have the forward- looking, analytical capability to optimally pursue strategies to reduce costs, maximize renewable utilization, operate in islanded mode for long periods, as required in this solicitation, or maximize revenue from ancillary services or market participation. Lawrence Berkeley National Laboratory (LBNL) will lead deployment of a renewable-based microgrid control system at Fort Hunter Liggett (FHL). The control system has a multi-layer architecture, where control tasks are distributed among four layers (device level, network level, supervisory level, grid interactive level), with response times ranging from milliseconds to hours. UNM’s role in the project is to deliver a packaged system that can produce a minutes- ahead forecast of solar resource availability, at second-by-second resolution, utilizing far-infrared images of the sky obtained using an integrated array of low-cost sensors. 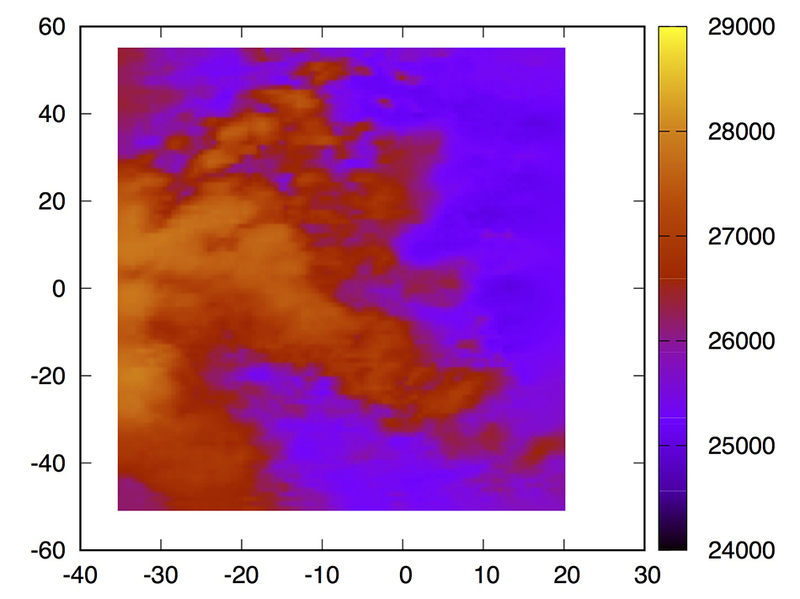 Images from all sensors are merged in real-time into a single image. Streams of such images are used as inputs for advanced neural network algorithms that mimic the way biological organisms categorize, retrieve and update information patterns.